Here are the new layouts that I promised. I seem to be having trouble getting my scanner to scan the colors in well so I have been taking pictures of them and uploading them that way. I'm still not happy with the results but I do love these layouts. 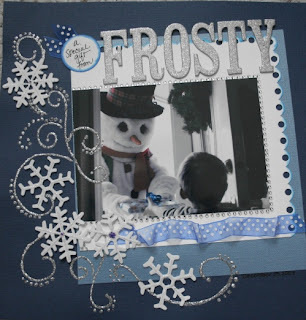 I think "A special Gift from Frosty" is my favorite so far. 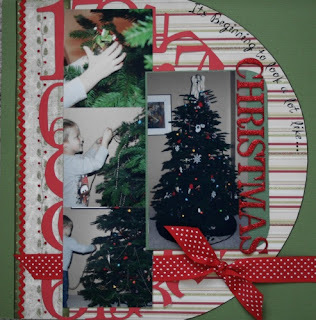 I did both of these layouts for various challenges at Scrapbook Dreamer. Oh yeah, did I mention that I love Stickles by Ranger?